The University provides the opportunity for transformative student learning through outstanding teaching and research, enriched educational experiences, and rewarding campus life. The heart of The University of British Columbia lies in its people—students, staff, faculty, alumni, and community—and our outstanding learning environment is the outcome of our relationships with one another. Learning takes place within the social and emotional context of each student’s life. Applying new research on education, UBC revolutionizes teaching practices in the classroom and expands learning opportunities outside of it: through community service learning, research and co-op experiences, internships and mentorships, international opportunities, and participation in a rewarding campus life. Through rigorous study within and across disciplines, students acquire the knowledge, inquiry and communication skills, professional abilities, and understanding of other cultures that enhance their personal development and enable them to contribute and lead in a global society. 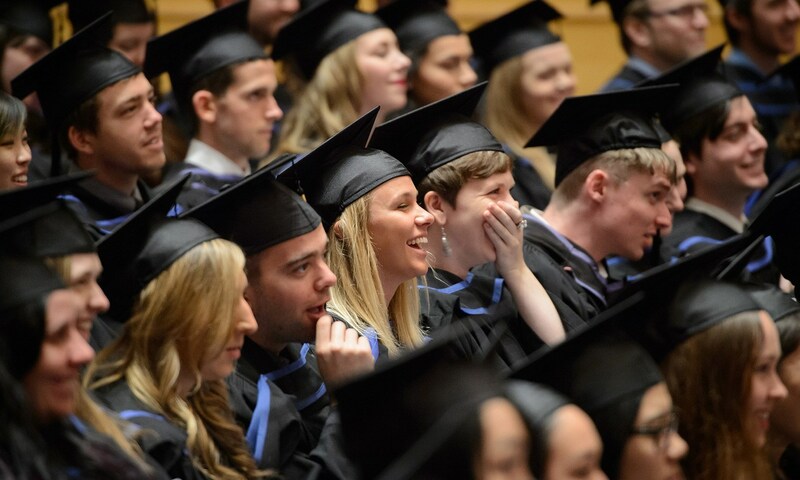 Transformative learning inspires students to flourish in their studies and stay connected with UBC as alumni. Together, faculty, staff, and students share the responsibility for bringing learning to life. Curriculum review continues to be a high priority for Faculties and Programs and is a key component in ongoing planning. In 2014, 23 external academic reviews were completed on the Vancouver campus, in which pedagogy and curricula are addressed; 2 external academic reviews were completed on the Okanagan campus. The Teaching and Learning Enhancement Fund approved 18 projects total of $1.1m in 2014. Projects are focused on enriching student learning by supporting innovative and effective educational enhancements through innovative learning technologies; engaging student leaders in peer-training models. The Flexible Learning Initiative continues to grow. In 2014, 109 courses were transformed on the Vancouver campus, reaching 14,155 students. This initiative focuses on developing, delivering and evaluating learning experience resulting in dramatic improvements in student achievement. UBC Vantage College accepted its first cohort in September 2014 with 188 (88 Faculty of Arts, 100 Faculty of Science) students in term 1 and 164 (76 Faculty of Arts, 88 Faculty of Science) students in term 2. Based on analysis of results from term 1, the grade distribution of UBC Vantage College students is on average comparable to other students (domestic & international) enrolled in the same courses. 10 New degree programs and 2 Graduate Certificates are in process of being approved by the Ministry of Advanced Education. In the summer of 2015, the Master of Management on the Okanagan Campus will welcome its first cohort since 2012, after an extensive curriculum review. The Okanagan campus completed the campus academic visioning program as a foundation for academic and campus master plan exercises. Student Orientation Steering Committee in place to achieve an outstanding set of programs that assist in the orientation and transition of undergraduate students. Expansion of Early Alert program, to help identify students at risk and connect them with supports. Implementation of Online Advising Management System to better support coordinated advising support. New, more coordinated communication approach for students implemented. students.ubc.ca website rebuilt to better meet the needs of students. The Graduate Student Career Development TLEF supports UBC Masters and PhD students through one-on-one advising, department / program specific workshops, and campus-wide events (e.g., summer/fall career symposium, workshops, info sessions). For the 2014-15 fiscal year, 691 graduate students were seen through one-on-one advising, over 350 attended department / program-specific workshops from 13 academic units, and nearly 1,100 attended campus-wide events customized for graduate students. Opportunity to build on the success of the pilot and establish ongoing service model to support graduate students. Go Global enhanced its academic integration initiative to enhance UBC students’ capacity to study abroad through academically integrated exchange pathways in designated departments and by increasing access and outreach. Pilot on summer research abroad placements for undergraduate students and continued expansion of the ways in which undergraduate students engage in international learning beyond term based exchange experiences. Enhanced learning outcomes project to better and more consistently assess student learning outcomes of experiential learning activities. New and enhanced wellbeing initiatives including: Senate Committee on Mental Wellbeing, increased outreach through the Early Alert program, new peer wellness coaching programs, and a cross-campus wellbeing initiative to bring together stakeholders to better support wellbeing on campus. Continued development of on-campus housing for students and building out the collegia program so that every new undergraduate student is either connected to a collegia or lives in residence. Consultation and approval of the Campus Safety Working Group Report. Specific actions include: approved and funded plan to implement a broader blue light phone network, $750,000 for increased lighting, educational campaigns launched, and a cross-functional team in plan to focus on continued improvements and responses. Investment of $2.5 million to support an increase in student counseling, disability advising and services, and health and wellbeing education and services. $1.5 million in new professionals for September 2015 and review of current approach and new directions for the fall of 2015. Engaging the newly formed Emergency Medical Aid team to provide first aid coverage at 26 events to over 14,000 UBC community members in 2014-15. Completed the review of Student Services at the Okanagan campus and implemented recommended changes.